Whether or not the majority of seniors are lonely is no longer a question. Surveys indicate as many as 65% of seniors report they’re lonely or feel isolated. This is a Western worldwide phenomenon, and seniors in the U.S. aren’t exempt. So the pertinent question is, how can seniors beat loneliness? There are many paths to follow, and one of them is with no doubt dating. I listed dating as number one because friendships can also develop from dating, not just romances. I’m a senior who dated online for several years before I met my partner three years ago. While I was dating I met a few women who I became friends with instead of lovers, and making these new friends was simple. Two people meet for a coffee date and realize that while a romance is unlikely for reasons stated or not, agreeing that a friendship might benefit both people can and should become a topic for conversation. Seniors can meet and like each other sufficient to want to establish a connection other than romantic. I’m steadfast about romantic relationships having to also be best friendships, but sometimes when seniors meet the friendship aspect can be stronger than the romantic one. Of course there’s always a good possibility that senior daters will meet a romantic partner and live happily ever after. Then there’s the potential to meet a new partner’s friends, too. Nothing satisfies the need for companionship like a friendship, and volunteering offers friendship benefits. Meeting other people who share your passion for a particular volunteer activity can spawn friendships because the sharing of values and the spirit of volunteering can be readily shared. There’s also a possibility two people might meet volunteering and date. In nearly every community there are a good number of divorce and widowed senior groups, many of which can be found online. Senior groups for divorced or widowed men and women often meet for social activities as well. The number of communal living possibilities for seniors constantly increases. There are homes that can be rented or bought by seniors that are large enough to accommodate a good number of people. This is particularly popular with boomers who remember communal living from decades ago. It offers companionship as well as safety. Looking online is a good way to find a communal living situation. A myriad of studies prove and document the benefits of seniors having dogs or cats in terms of loneliness. Shelters are filled with potential pet friends and the cost is minimal and generally covers spay or neuter procedures and vaccinations. I’ve had dogs since boyhood and there were many times my dogs were the perfect cure for loneliness. Most, larger communities have senior centers where seniors can meet for various activities. And since they’re senior centers, it won’t be difficult to meet fellow seniors who are likely there for the same reasons you are, companionship. There are a host of activities that are organized into groups for seniors. Hiking, cooking, bicycling, dancing, local theater, wine tasting, and many other activity groups where friendships can be made are widely available and can be found online. Seniors can go online and find a pen pal almost anywhere in the world, including the United States. There’s the potential for friendships to be established that can also become visiting friendships. Don’t discount the possibility of meeting a new friend through becoming pen pals. While this is a volunteer activity, it’s far different than most other volunteer opportunities because it’s a one-on-one relationship. There are possibilities for tutoring immigrants in English. There’s also the possibility to mentor young boys and girls who can benefit from a senior’s knowledge. Friendships often develop in this manner. 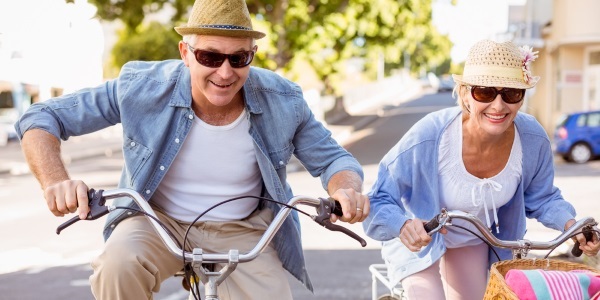 Many seniors have lifelong hobbies they’re passionate about, and most would welcome the notion of making a friend who’s also an aficionado of that specific activity. Stamp clubs, model railroad builders, clay pot throwers, and whatever your interest is, isn’t unique to you. These can also be found online. There are so many opportunities for seniors to find friendship and end their loneliness that it’s not so much about the how you can end your loneliness as it is the when you decide it’s time to end it. When are you going to pursue one of the possibilities listed? Why don’t start battling the feeling of loneliness by joining one of these senior online dating sites? All of which offer great tools to help senior singles find a good match.